Born in 1951 in Tel Aviv. Feiler grew up in a kibbutz in Israel and moved to Sweden in 1973. First he studied there at the Fylkingen Institute of New Music. In 1977-1978 he studied musicology at Stockholm University. Between 1978-1983 he studied composition at the State College of Music with Gunnar Bucht, Sven-David Sandström, and Brian Ferneyhough in Stockholm. 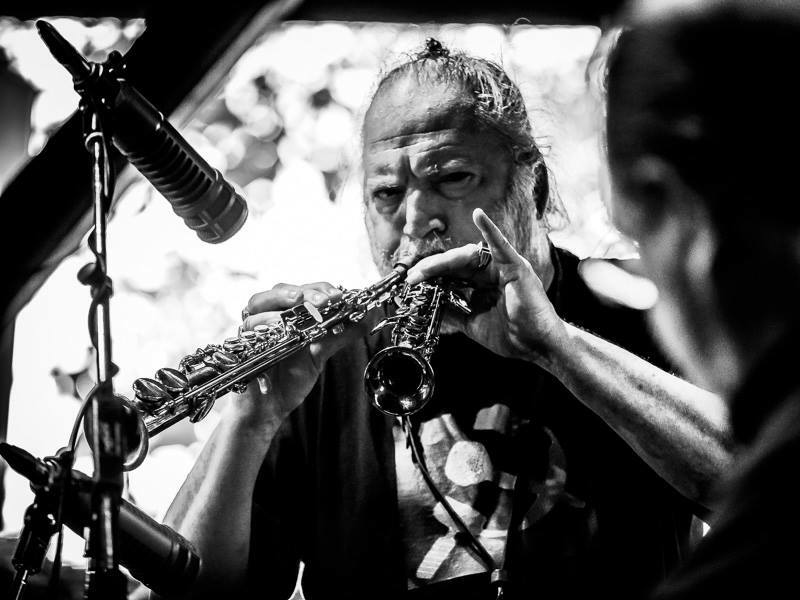 Since the mid-70s he performed with his own improvisation group Lokomotiv konkret and The too much too soon Orchestra, and other groups as a saxophone soloist in several countries. He founded different cultural policy institutions, among others European Jews for a Just Peace, EJJP, JIPF – judar för israelisk-palestinsk fred, The Freedom Theatre and Tochnit Aleph. Dror Feiler is the vice president of Society of Swedish composers, CEO of the Swedish Music Information Centre Svenskmusik and president of the European Organisation “European Jews for a Just Peace”. When speaking about his music and art he shows a will to work with music that deals with the world. Since the end of the 1970s he composed upwards of 30 works for various combinations of instruments, ranging from orchestral music to solo pieces, from electronic music to ballet music. Many of his titles provide excellent clues to their music: Splitter (1978) for double bass clarinet and two tape recorders, Brand (1979-1981), an improvisation for orchestra, Stalingrad (1981-1982), improvisation for soloists and orchestra, Barrikad (1981-1982) for amplified piano, Written in Salt (1982-1983) for ten percussionists, Slå en röd kil i det vita blocket (Knock a Red Wedge into the White Block) (1981-1984) for large orchestra, Schlafbrand (1985) for organ and percussion (“Dedicated to all Jews and Communists Murdered during the Second World War“), Låt miljonärerna gå nakna (Let the Millionaires go Naked) (1987) for four electric guitars, two sets of drums and tenor sax, Ni är döda (You’re Dead) (1987) for two trombones, two electric guitars, two amplified cellos and a set of drums. In 1983 Dror Feiler became a Swedish citizen. Today he lives as a composer, musician and artist in Stockholm, and runs with his wife gallery TEGEN2 in Stockholm.